From the favourite Pinot Noir, to wildly popular Sauvignon Blanc from Marlborough. 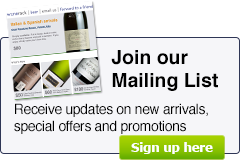 Winerack offers Premium Quality, Award Winning, Low Prices - New Zealand Wine. Runholder Pinot Noir is crafted from parcels of fruit from our home vineyards and offers flavors of rich, dark cherries, spice, and hints of earthiness. A velvety texture is accented by subtle oak on the long finish. Match with duck, pork dishes and red meat dishes.